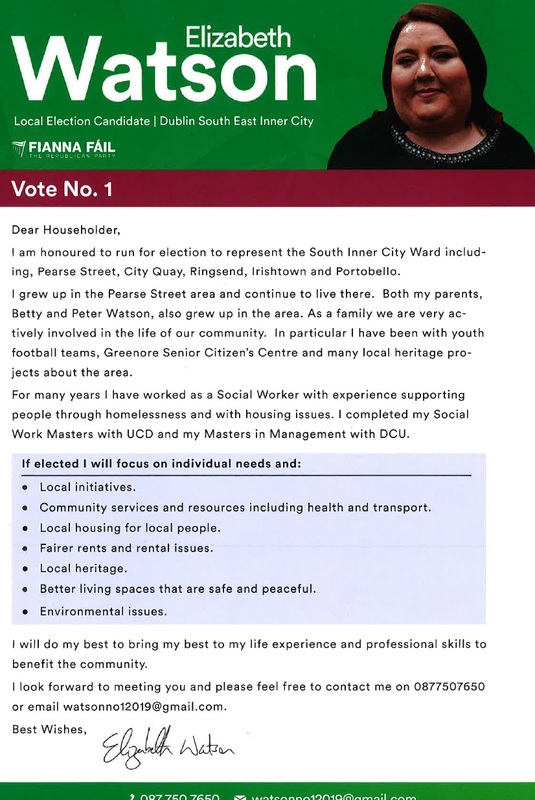 A Leaflet from Elizabeth Watson who is running for Fianna Fáil in Dublins’ South East Inner City LEA. 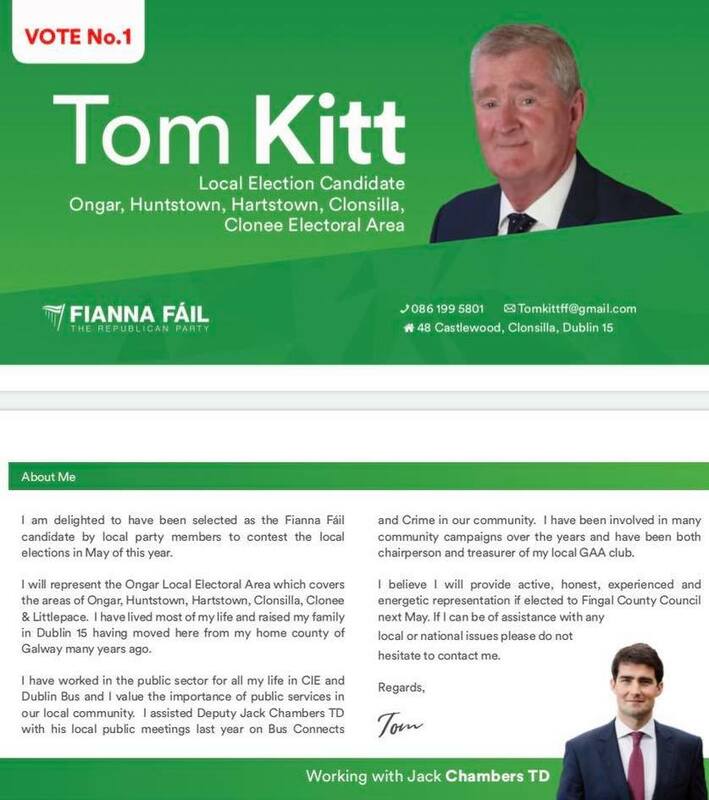 A Leaflet from Tom Kitt of Fianna Fáil who is running in the Ongar LEA for a seat on Fingal County Council. 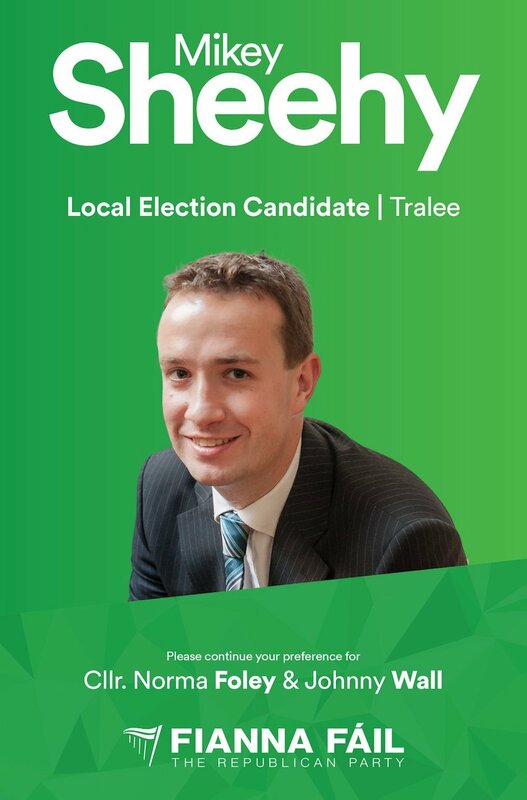 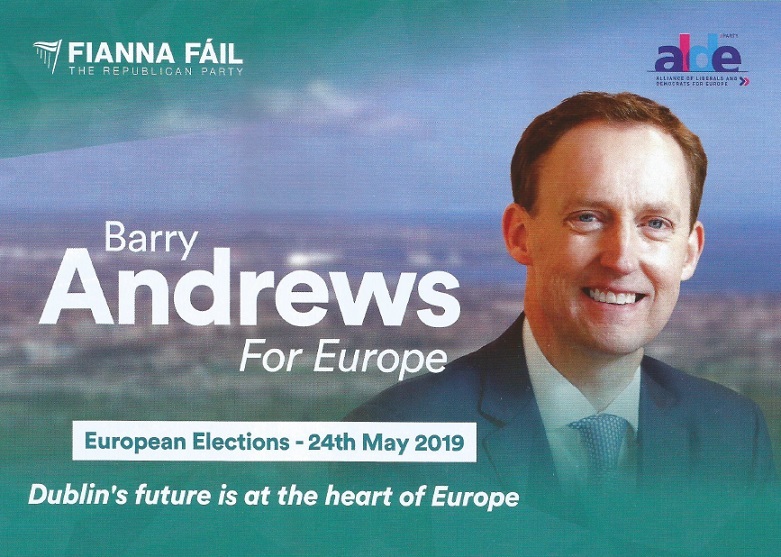 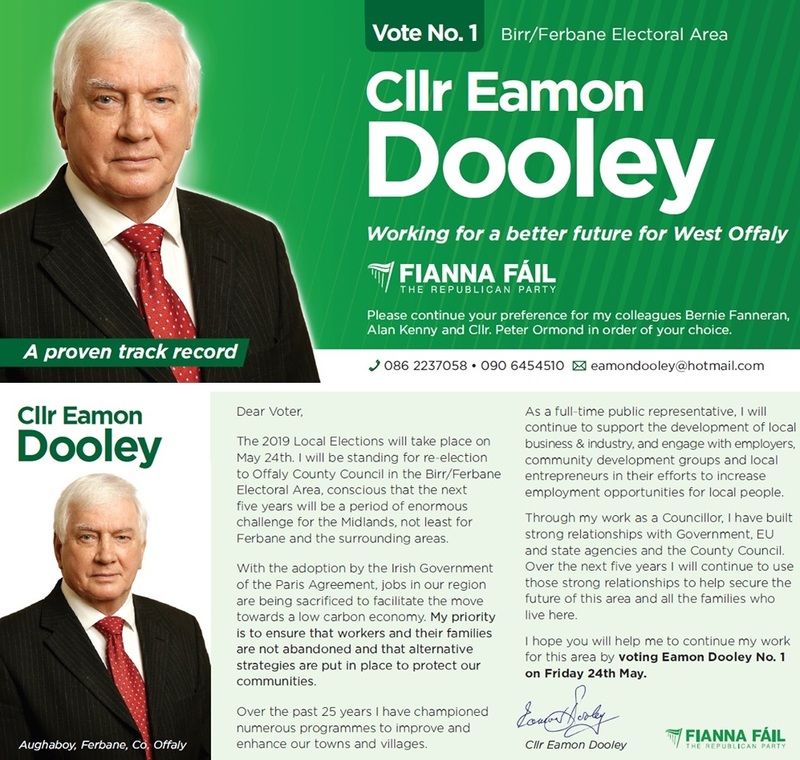 A Leaflet from Eamon Dooley of Fianna Fáil who is running in Birr/Ferbane for a seat on Offaly County Council. 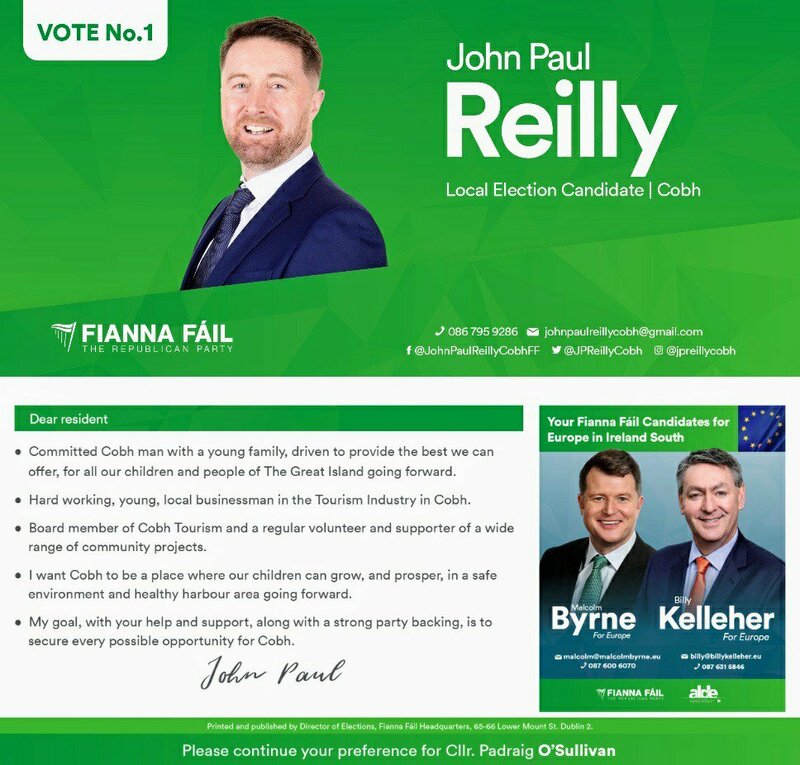 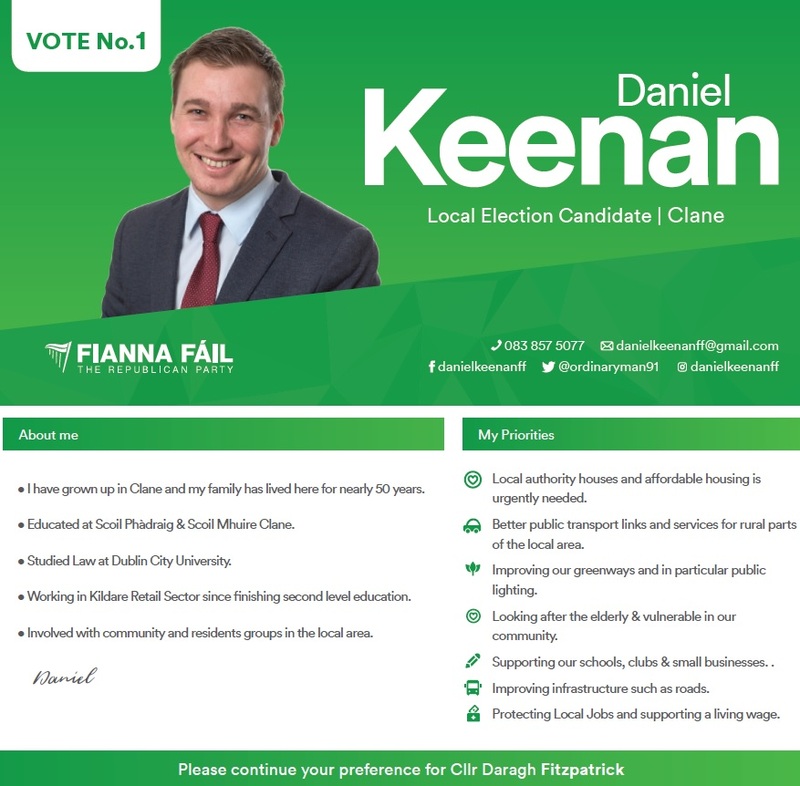 A Leaflet from Daniel Keenan who is running for Fianna Fáil in The Clane LEA for a seat on Kildare County Council.